This headshot was taken by Ric Sechrest of Ric Sechrest Photography. I highly recommend him to any actor who needs new shots! This page was designed by Al Quagliata and uploaded on 08/18/2016. 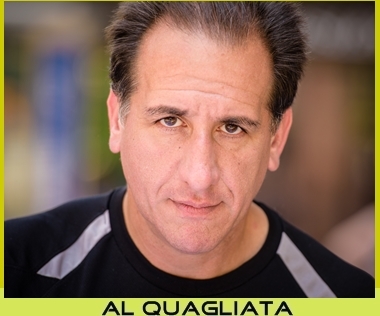 ©2011-2019 By Al Quagliata. All Rights Reserved. I received my BA in Communications / Broadcasting from Iona College in New Rochelle, New York, where I was the assistant production manager of the radio station. I was also the producer and announcer for several years of WLNA radio's "Sportsnight" show in Peekskill, New York. I've done many voice-overs and am available for any projects you have in mind. A couple of demo reels are featured here, each about one minute long. If you'd like to download the demos, right click on the link and choose "Save Target As" "Save Link As".